Over the last few years there haven’t been many bikes that I've looked forward to riding as much as the YT Capra. Perhaps it's that 'want-what-you-can't-have' mentality: There's been quite a buzz about the Capra across the pond, but unfortunately the bikes weren't available in the United States until recently. And from my first day on the Capra it was clear that I wasn't the only person who had been lusting after one. Any time I stopped long enough on the trail for someone to notice what I was riding I'd get the inevitable: "Hey, is that a Capra?" "Is it awesome?" "Do you mind if I pedal it around?" Can you blame them? With its progressive geometry and high-end parts kit at a pricetag that is nearly unbeatable compared to other bikes with an equivalent spec, it seems like the hype is justified. But those positive off-the-bike first impressions didn't prepare me for how fun this bike would actually be on the trail. On my first ride I made a point of dropping into one of my favorite steep, fast and technical descents, as I usually do with any new test bike. And I couldn't stop thinking about how damn fast I was going. No 'first-ride-75-percent-rule' aboard the Capra. It was full-gas from the first drop-in. With 170 millimeters of travel taken care of by Bos Suspensions' Deville fork and Kirk rear shock, perhaps I shouldn't have been surprised. But I think what makes all that travel special is how the Capra uses it. The rear shock had great initial suppleness without wallowing in the travel, and the end stroke ramped up perfectly to give the bike a bottomless feel over the biggest hits I could handle. And the fork exhibited similar qualities throughout the stroke–supple small-bump sensitivity with a supportive mid-stroke and aggressive ramp up. As a result, the bike felt balanced at any given point in its travel. This might lead to the assumption that the Capra would be a chore to climb, but that wasn't the case. Bos' Intelligent Pedaling Optimizer splits the hydraulic flow in the compression valve–essentially offering small-bump sensitivity with a firm pedaling platform–and it's surprising what that does for the pedaling performance, even with so much rear travel. If you can deal with its slack 65.2-degree head angle and a bit of wandering on steeper climbs, you'll be more than thrilled on the way down. And of course any true test for descents on an all-mountain bike can be found at the top of the chairlift among the DH rigs and fullface helmets. I spent a few days on the Capra riding the Mammoth Mountain Bike Park and it was easy to forget that I was on a bike that I could actually pedal uphill, and not something with a downhill-only moniker. Its split personality created a machine that was nimble like a trail bike but could charge recklessly like a big bike. Add to that the simple yet important factor of riding a bike dead stock out of the box without wanting to change a single thing straight away, and it's hard to see any faults in the Capra as an overall package. Markus Flossman founded YT with the goal of creating high-quality and innovative mountain bikes that were affordable for entry-level riders. In 2010, the German brand brought their downhill bike, the TUES, to the masses via a consumer-direct model that bypassed dealers and reduced end-user cost significantly. In 2014, YT introduced the all-mountain Capra, and then launched sales in North America at the beginning of 2015. Since then, the Capra has become the bike that everyone wants to know about, and with good reason: At each spec level, its outright value is undeniable. It took a while for us to get hooked up with a test bike, which is indicative of the level of demand right now for the Capra (as of writing this, five of the six models are sold out). When we did manage to get one, we received it in the same manner that most consumers would: in a box. The Capra emerged from the cardboard undamaged and well-enough assembled that home mechanics should be able to get it together with the tools they keep in their riding packs. The Capra takes its name from mountain goats capable of living at high altitudes and scaling incredibly steep faces, but on my first ride the bike felt like it was a bit lethargic after a gluttonous grazing session. Unable to keep a handle on the front end, I quickly found myself hiking technical sections on climbs that I usually clean. I swapped out the stock 50-mil stem for a 65, which effected a sea change in the bike's uphill handling. Once the reach was dialed in, the steep 75-degree seat-tube angle gave me an aggressive seated pedaling position that helps the Capra scale ascents with surprising efficiency for a bike with 170 millimeters of travel and a 65.2-degree head angle. I don't know how fast goats are on descents, but the Capra is very adept at going downhill. Its rock-smashing aptitude is only rivaled by a high-speed playfulness and maneuverability that you wouldn't expect from a bike with so much travel. Getting the suspension dialed requires more than most users will be accustomed to. 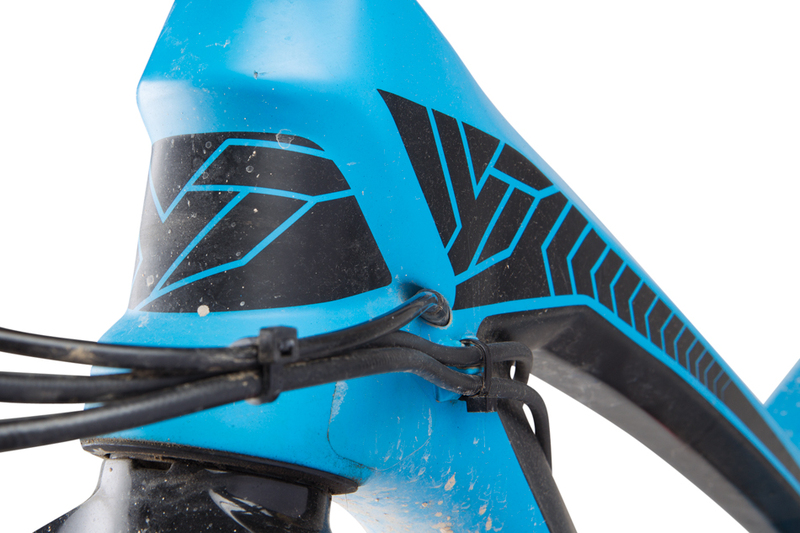 Balancing the dual-air chambers in the Bos fork and shock is an important part of the setup process, and there's no pretentious shop hand to show you how to do it properly when you pull the Capra from its cardboard womb. 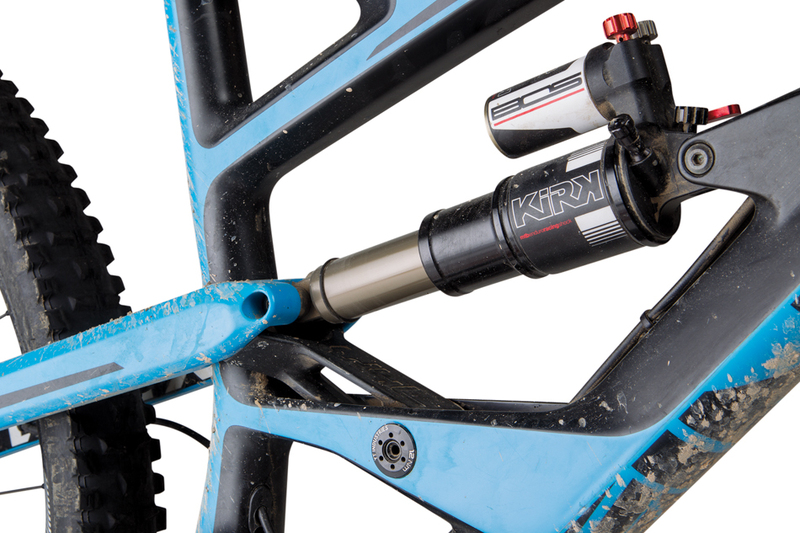 The high- and low-speed compression adjustments are great, but sometimes I felt like I was fidgeting with knobs trying to get the suspension to feel the way RockShox or Fox stuff feels right out of the box. Then again, Bos claims that its suspension has much longer service intervals than its competitors' products. The lion's share of Capra models sit on 160 millimeters of travel, which I think would make the bike better suited to everyday riding. I do my best to avoid riding with a pack, so I was disappointed to see that there's no provision for mounting a bottle cage on the Capra. At 6-foot-1, I'm on the low end of YT's sizing for the large Capra, which is supposed to fit riders up to 6-foot-5. But I'd estimate that 6-foot-3 is a more realistic height limit for the large, and there is no extra-large option. 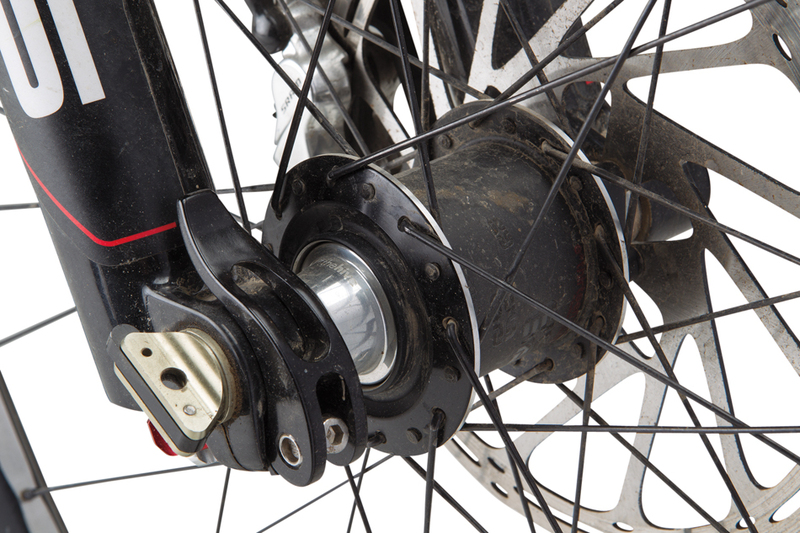 In addition to the top-shelf suspension, the Pro model tested here comes with SRAM's impressive Guide RSC brakes and X01/X1 drivetrain, as well as e*thirteen TRSr wheels. 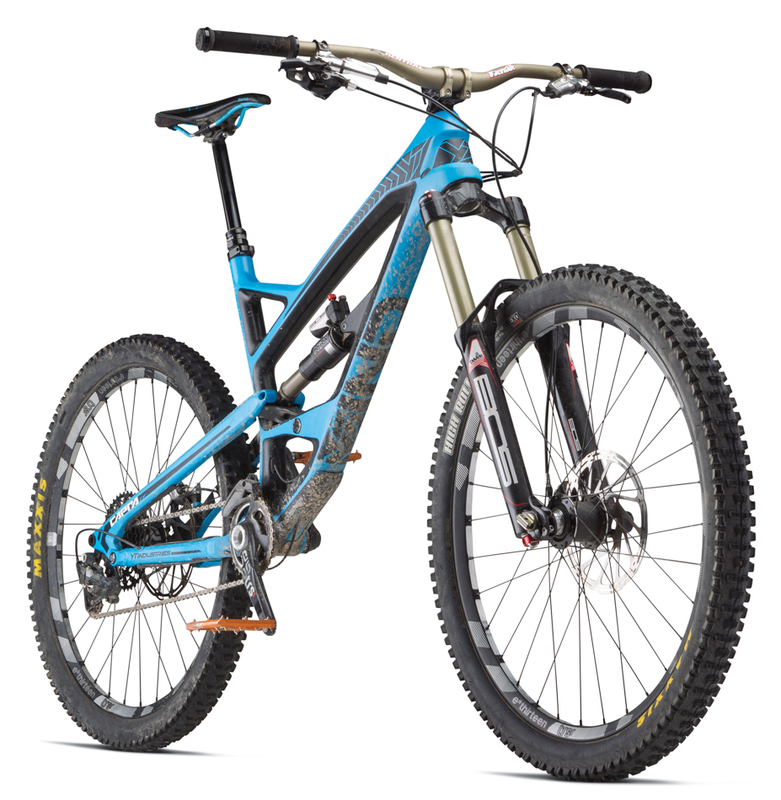 If I had my pick of the litter, though, my money would be on the Carbon Comp 1 model, which comes with RockShox suspension and a bang-on mix of SRAM, Race Face and e*thirteen parts for $4,600 before shipping. Or, for three big ones, you can get into an aluminum Capra with a high-value build. But regardless of which version you want, you'd better get in line.